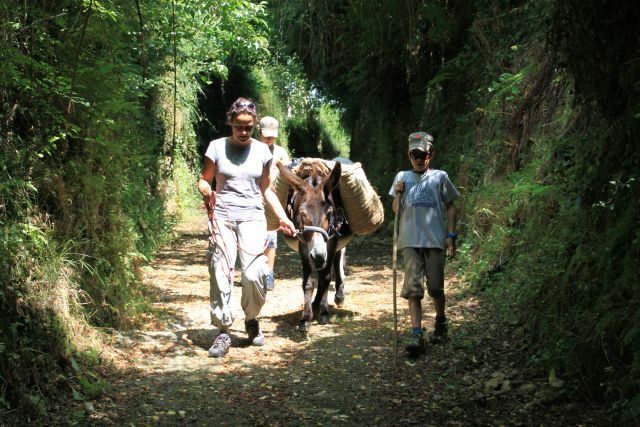 This year, for the first time, “El Paraíso del Burro” has acted as a host to people who wish to “Walk with donkeys”. 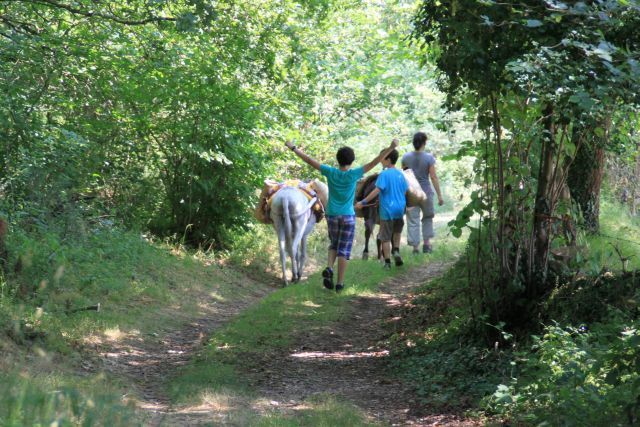 The walks are organized by Astrid and Thomas at Camping Fontebona , a tranquil camp site for nature lovers near Infiesto, and the protagonists of the project are the lovely Añes and Lola, formerly of the Paraiso but now adopted by Astrid and Thomas. 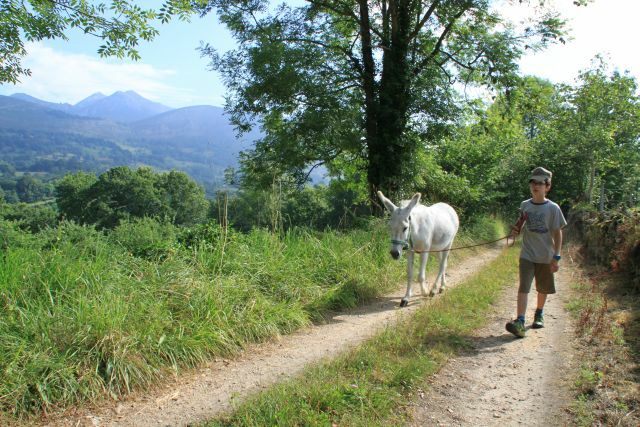 The “Walking with Donkeys” project is open to anyone, but particularly to people who are camping at Fontebona camp site, and consists of a 4 day walk of around 14 km per day from the campsite to the Paraiso and back, mainly via green routes and tranquil country lanes. At the end of each day the walkers, accompanied by Añes and Lola, are accommodated in guest houses (nights 1 and 3) and at the Paraiso (night 2). 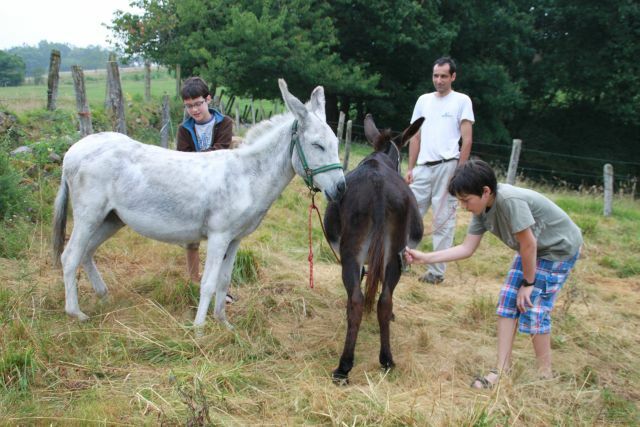 This gives the participants a chance to meet the donkeys and other animals here at the Paraiso and also, to enjoy some local hospitality. 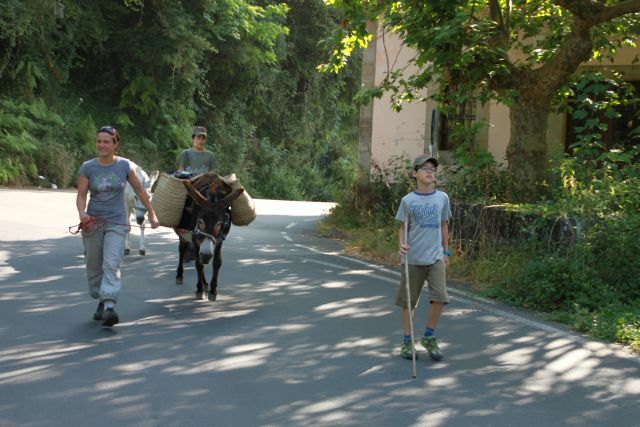 Along the way, there is never a dull moment as many local people get to know about the donkey walking and will help out with directions and “advice”. 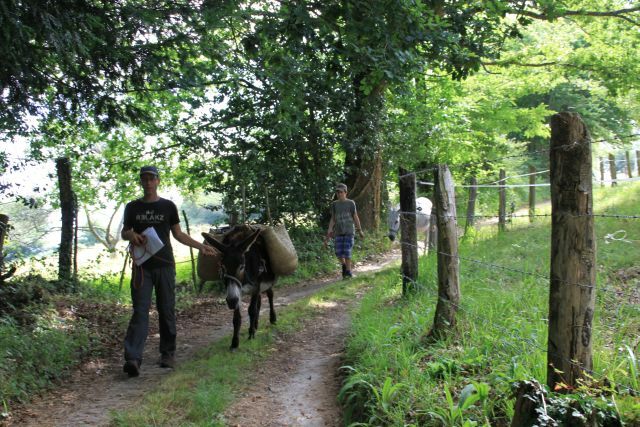 On the day before the start of the journey there is a familiarization walk of 5km so that walkers can get to know their donkey friends and gain the knowledge they will need for their journey. The photographs, taken by Astrid and Thomas, show some of the first families to enjoy this new experience as they set off on their journey.